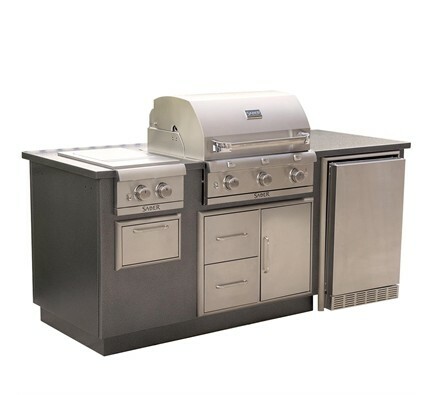 The Saber R-Series EZ Outdoor Kitchen will be the focus of your barbecue parties and outdoor events. 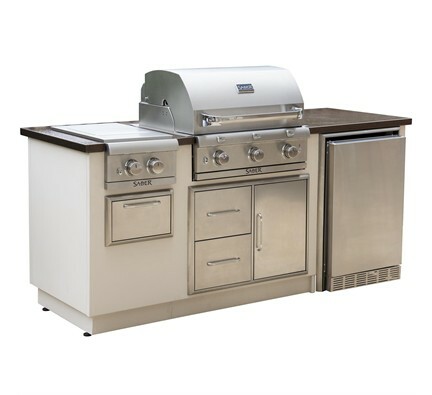 The island includes a premium Saber SS 500 3-burner built-in grill, dual-control side burner, a stainless steel refrigerator, refrigerator trim kit, double drawer and door combo and a paper towel holder. The components create a fully featured kitchen to allow everything to happen in one place from start to finish. 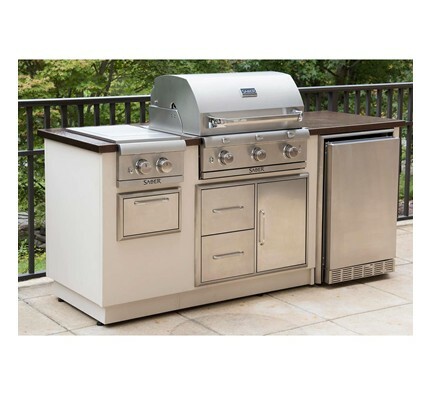 Includes SS 500 Built in gas grill, Dual side burner built in, Stainless 4.1 cu ft. outdoor refrigerator, refrigerator 4.1 cu ft trim kit, double door and drawer combo, and a paper towel holder. 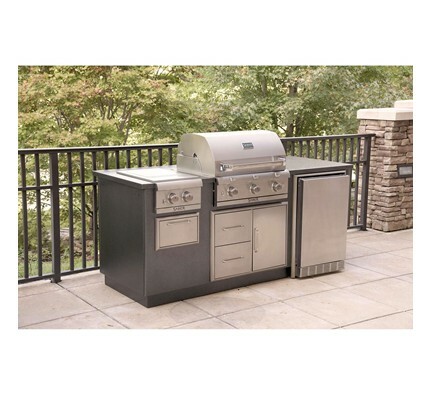 Memphis Single Drawer and Trash Drawer 15"